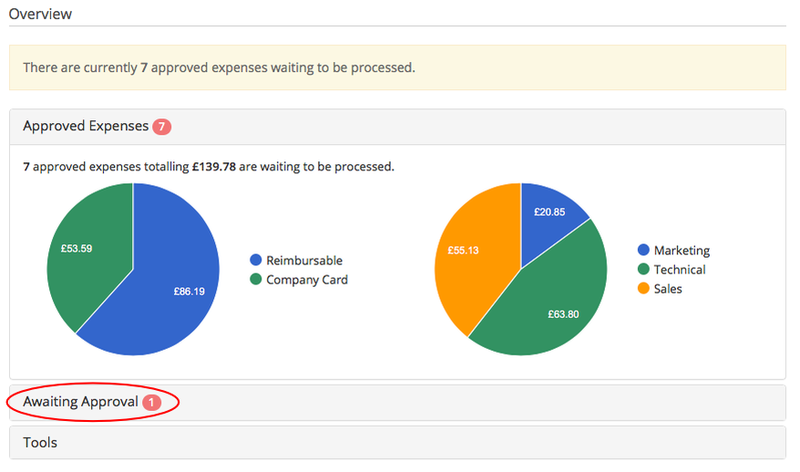 You can check to see if there are any expenses that are still with an approver from the finance area. 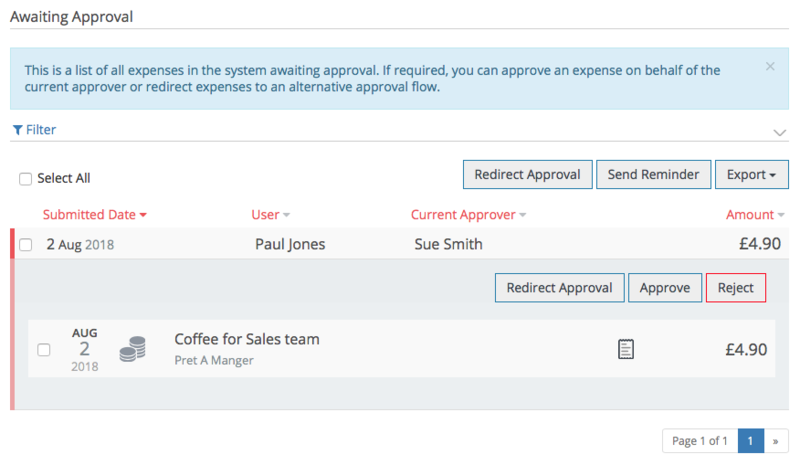 In the Awaiting Approval area of Finance, you have the ability to view expenses that are still with an approver. You can also redirect the approval if an approver is away and also send approval reminders. Redirect the expenses to another approver. Send the approver a reminder email to approve the expenses. Approve or reject on the approver's behalf. Please note: You can only do this if this permission has been granted in the Admin area. Export the expenses to PDF or CSV by clicking the Export button and choosing the format.